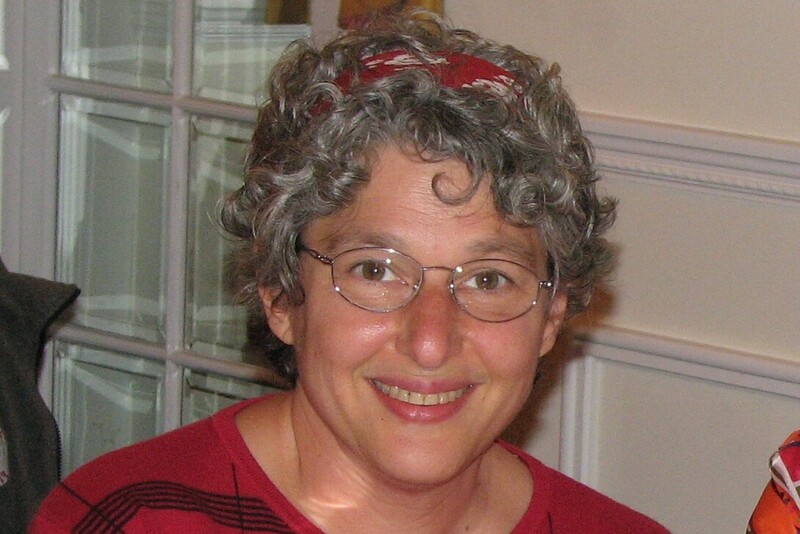 Dr. Meryl Nass « CASE CLOSED … what really happened in the 2001 anthrax attacks? A group of psychiatrists offered their forensic expertise in solving the anthrax criminal investigation, by using their insight into the criminal mind. Somehow DC Judge Royce E. Lamberth blessed them, and FBI paid the $38,000 bill. The group only had one suspect, whose confidential medical records were supplied by the FBI. The Executive Summary makes clear that the panels’ conclusions were built into its charge …the Panel was asked to offer, based on the available materials, a better understanding of Dr. Ivins’ mental state before and after the anthrax mailings, his possible motives — and the connections, if any, between his mental state and the commission of the crimes. How could these experts possibly know Ivins had the motivation and means, when the FBI failed to produce a logical motive or provide evidence of means? This report was completed last August, but was pulled out of the deep freeze yesterday in a last-ditch attempt to trump the NAS report. to describe this outpouring of gibberish? It appears that the psychological evaluation of the Amerithrax Expert Behavioral Analysis Panel was based entirely on the FBI’s “botched” investigation, which has been documented again and again on this blog as incomplete and incompetent. From such a starting point, with no independent information or evaluation, how could any conclusions from a group of “consultants” apparently well under the FBI’s thumb be considered as independent or well supported? Kudos to the Frederick News Post and to Megan Eckstein, the only media which still seems interested in this case. Why does the FBI continue to hold back on crucial details about this case while continuing to assert without “proof beyond many reasonable doubts” that Dr. Bruce Ivins was the sole perpetrator of the 2001 anthrax attacks? 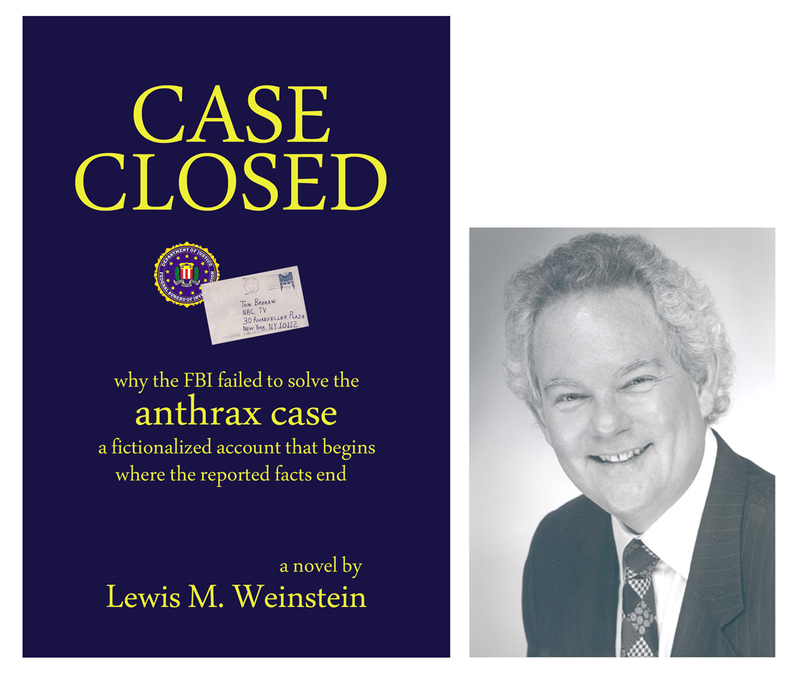 The “fictional” scenario in my novel CASE CLOSED has been judged by many readers, including a highly respected official in the U.S. Intelligence Community, as perhaps more plausible than the FBI’s unproven assertions regarding Dr. Ivins. A group of 25 scientists, professors, writers and terrorism experts convened Monday to discuss and debate the anthrax investigation. None of them believe Bruce Ivins was the culprit. The panel, which lasted for four hours, talked about that investigation, lessons learned and its broader implications. I am coming more and more to the conclusion that the FBI’s stonewalling refusal to make clear to the American people what they know about the anthrax murders is a problem of equal importance to the fatal mailings themselves. To have an out-of-control police force in a democracy, answerable to no one, is a serious matter. We must not let the FBI win by letting this case fade away. Someone committed a bioterrorist attack against the U.S. It wasn’t Bruce Ivins, at least on the evidence so far made public. America needs to know the truth, no matter who is embarrassed or imprisoned. FBI tried to close this case on August 1, 2008, 3 days after Bruce’s death. The FBI orchestrated a crescendo of leaks about Bruce over several days, full of lurid details that aimed to create a picture of a “lone nut” for the American public. Much of this material was inaccurate or exaggerated … a tawdry attempt to bury one of the most important cases the FBI has ever investigated. the anthrax letters helped pave the way for passage of the USA Patriot Act, for going to war with Iraq … and for expansion of the federal biodefense budget to 50 billion dollars and counting. Were aspects of Bruce’s death orchestrated as well? Although the anthrax letters case was one of the FBI’s biggest ever, Bruce’s death somehow didn’t warrant an autopsy or an inquest. I have seen no report or evidence that the FBI informed anyone, especially Bruce’s medical providers, of his Tylenol ingestion. Doing so in a timely manner would have almost certainly saved Bruce’s life and allowed the FBI to bring its case against him to its legal conclusion. Nor did FBI intervene to hasten Bruce receiving medical attention after his ingestion. 1. FBI sent a letter to Bruce in April 2007, stating that he was not a target of the investigation. 2. Why was no DNA obtained from Bruce until the week before his death? 3. Why did Bruce retain his security clearance until 19 days before his death? 4. FBI has failed to find evidence placing Bruce in New Jersey where the letters were mailed. 5. FBI has failed to show how Bruce could have been at the mailbox during the window of time in which the letters were sent. 7. FBI’s February 2010 report tries to have it both ways. It claims that flask RMR1029 was under Bruce’s exclusive control between its 1997 creation and the anthrax letter attacks. The report claims that “only a very limited number of individuals had access” to the flask. Later it admits that approximately 400 people at USAMRIID and a Midwest contractor laboratory had access to the spores. 8. 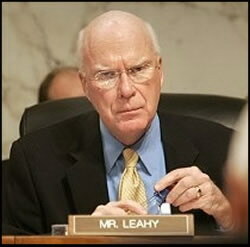 FBI claims Bruce had the know-how to produce the weaponized spores found in the Leahy-Daschle letters. But FBI itself has failed to reverse engineer the spore production method, does not know what that method entails, and therefore cannot possibly know if Bruce had either the knowledge or access to all the equipment needed to produce such spores. 9. FBI has failed to find any trace of the strain of Bacillus subtilis that contaminated the anthrax spores in the first set of letters, at USAMRIID or anywhere else. Had the contaminated batch of anthrax been made at USAMRIID, the Bacillus subtilis strain would have contaminated the work space and been identified. 10. FBI claims it ruled out 400 people who had access to the spores, but fails to explain anything about the processes used to rule these people out. 11. Bruce passed two FBI polygraph tests, but later FBI claimed he used “classic” countermeasures to thwart the polygraphs. Experts dispute this FBI claim. 12. FBI’s report claims Bruce had access to a photocopier, but fails to note it was not the copier used to produce the anthrax letters. 13. FBI initially reported that the water the spores were grown in came from the Frederick, Maryland area. FBI later backed off this claim. 14. 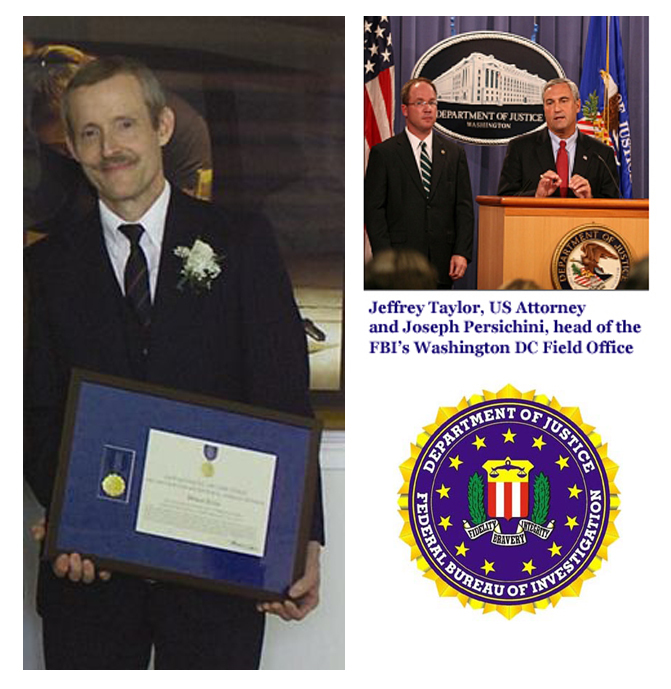 FBI initially said that minor deviations in the pre-franked envelopes used for the anthrax letters showed they were purchased from the Frederick, Maryland post office. Later FBI acknowledged they were sold widely in Maryland and Virginia. 15. Nowhere in the February 2010 FBI report is there any acknowledgement that the crime could have involved more than one person. Yet in my opinion, the logistics are such that it is almost a certainty more than one person was involved. 16. The FBI obtained nearly all its 1,000 anthrax samples voluntarily from labs in the US and abroad. This assumed that theanthrax mailer fully complied with the FBI request, even though it might incriminate him. I’d call this a risky assumption, which undermines the foundation of the FBI’s entire case. 17. FBI’s report postulates that two one-week windows of opportunity existed in which each batch of anthrax letter spores could have been grown, processed and mailed. The time period for the first set of letters was September 11 through 18, 2001. The period for the second set was October 1 through 8, 2001 (see page 6 of the FBI report). FBI therefore reported focusing its investigation on individuals who had access to flask RMR 1029 and an anthrax “hot room” (a.k.a. BL 3 or 4 high containment laboratory) during these periods, in its attempt to identify and investigate all potential perpetrators. However, there are several problems with this assumption. First, the US government did not know how many high containment labs existed in the US and abroad in 2001, as they did not have to be registered or inspected. Some may have belonged to private companies or individuals. Second, although the anthrax letters were mailed during short windows of time, and the text included with the letters was probably written shortly before mailing, there is no reason to think that the spores had to be grown and processed during these periods. Since the FBI was unable to duplicate the process used to produce the spores, it is uncertain whether production in a particular lab could be completed during a one-week period. Spore production and processing could have taken place considerably earlier, and/or the spores might have been supplied to the mailer by another person. The National Academy of Science panel will issue its report on the FBI’s microbial forensics soon. But given the lack of information available for evaluation in the open literature, the NAS panel is handicapped by its overwhelming reliance on briefings by the FBI and its contracted scientists. Until the standard procedures of peer review described above are completed, it will be very difficult to determine the validity and usefulness of the FBI’s research. The FBI’s case against Dr. Ivins is clearly bogus: no evidence, no witnesses, an impossible timeline, science that proves innocence instead of guilt. So what really happened? And why doesn’t the FBI offer America a credible story? * Dr. Meryl Nass … Ivins’ death scenario begs many questions … why has the FBI so far failed to settle these questions? Ivins’ death scenario begs many questions. Why wasn’t he given a Tylenol antidote to prevent liver failure? Ivins was allegedly found unconscious on the bathroom floor with an orange liquid next to him. A Tylenol overdose requires several days before you die, and does not cause coma for days. If the benadryl in Tylenol PM led to unconsciousness (according to a later account by Scott Shane in the NY Times) there was still time to treat him successfully for Tylenol toxicity. Ivins was under 24/7 surveillance by FBI, from the house next door. FBI should have identified an overdose before several days had passed, and the window of opportunity for treatment was lost. FBI could have furnished Ivins’ medical providers with information that might have saved his life. The medical records of Ivins’ hospitalization have not been released. I have always believed that the death of Dr. Bruce Ivins was too suspicious and too convenient for the FBI (i.e., no need to prove their case in court). Under such circumstances, one would think the FBI would be particularly careful to assure that everything that proves their assertion that Dr. Ivins committed suicide was convincingly presented. The FBI has not done that, which only serves to stir the suspicions. To prove that a person committed a crime, they must be shown to have all three of the following: means, motive and opportunity. Has the FBI proven that Ivins had all three? Means: Retired colleagues have said he did not have the equipment to make Daschle-quality anthrax in the amounts required using equipment available to him at Fort Detrick. Anonymous colleagues at Fort Detrick claim he could. FBI has failed to clarify this major issue. FBI has not been able to “reverse engineer” the anthrax and therefore does not know what equipment was needed to produce it. FBI has made a series of changing claims over time about silicon found in the spore preparation. FBI has not identified the Bacillus strain contaminant (found in the first letters) in the Fort Detrick lab, suggesting the spore material was made elsewhere. Motive: The FBI has alleged a variety of motives at different times, but none of them seem to make any sense. The latest report has errors of fact in its discussion of motive. Opportunity: Could Ivins have made it to the Trenton/Princeton area to mail letters and returned to Frederick in time to meet his other obligations? The FBI’s first reported (2008) scenario of how this may have occurred was incorrect. I have not read a convincing scenario since. Has the FBI proven any of the three?